Win tickets to see The Killers and Death Cab For Cutie at Summerfest July 5! PRESALE is on March 7 from 10am-10pm. It’s easy to increase your chances to win! Listen in 8 a.m. hour with Dori Zori all this week, Mar. 4 – 8, for your cue to call. She’s got tickets in the yellow section. If you’re not a morning person, no worries, Ken Sumka will also have those same yellow tickets in the 5 p.m. hour every day. 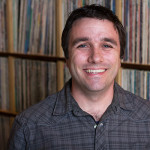 For even better odds, head to the contest section of RadioMilwaukee.org to guarantee your name is in the running. Plus, you can check out all of our contents right on that page. There’s a lot. The Killers are a Las Vegas-based four-piece who formed in 2003, featuring the talents of singer/keyboardist Brandon Flowers, drummer Ronnie Vanucci, guitarist Dave Keuning and bassist Mark Stoermer. The band has received countless accolades for their artistic achievement, including multiple Grammy nominations, American Music Award nominations, MTV Video Music Awards, NME Awards and more. Their first album, Hot Fuss, was released in 2004 to worldwide acclaim. The album contained the singles “Mr. Brightside” and “Somebody Told Me,” in addition to the anthemic song “All These Things That I’ve Done,” which has since been referenced by the likes of U2 and Coldplay. The band toured for two years straight behind Hot Fuss, playing more than four-hundred shows, and eventually returned to Vegas to begin to work on the follow-up album with legendary producers Alan Moulder and Flood. The result, a love letter of sorts to their hometown entitled Sam’s Town, was released in 2006 and spent forty-two weeks on the Billboard Top 200. The Killers have appeared three times on Saturday Night Live, in addition to performances on The Tonight Show, The Late Show with David Letterman and more. A b-sides collection entitled Sawdust was released in 2007. 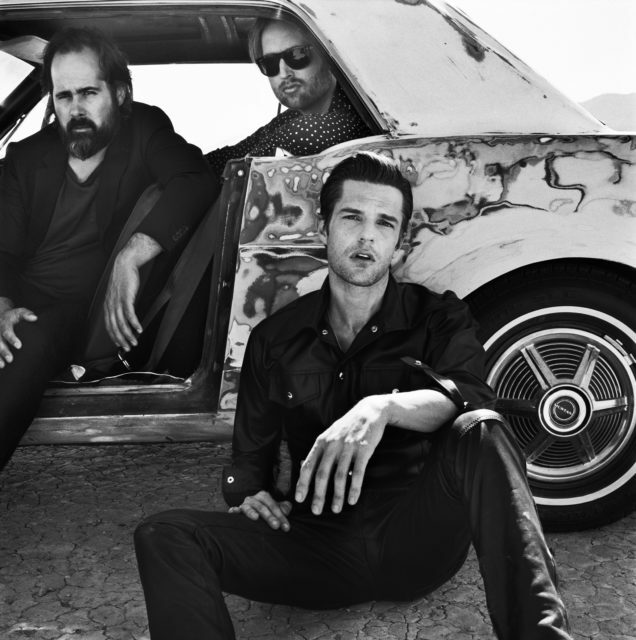 The Killers have sold over twenty-five million albums worldwide; their third studio album, Day & Age, was released to widespread critical praise in 2008. The following tour saw the band headlining two of America’s most prestigious festivals, Lollapalooza and Coachella, as well as selling out Madison Square Garden for the third time. The Killers released their most recent album, Battle Born, in September 2012, expanded their world tour into countries they’ve never visited previously in Asia, and finally were honored to perform at the world-renowned Wembley Arena, one of the most monumental and significant shows of their career. After a decade of making music, in November 2013, The Killers released a “Best Of” collection, Direct Hits, which featured two incredible new songs alongside classics from the band’s revered catalogue. When the weather is still this gross in March, we’re looking for any reason to start looking forward to summer. How bout this to get excited — The Killers will be coming back to Milwaukee in July, following their sold out headlining show at the Fiserv Forum back in September of 2018. It should theoretically be warmer by then, right? Find out how to get entered to WIN tickets before you can buy them below.